According to the Gregorian calendar, Purim is the first important Jewish holiday, but it actually occurs in the 12th month in the Jewish Biblical year. Purim is celebrated this year beginning: the evening of 20th March until the evening of the 22nd March, 2019. 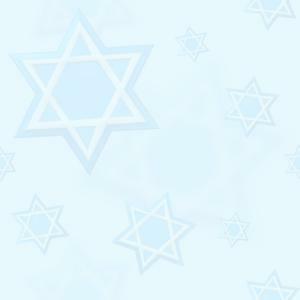 It is a very happy Festival among the Jewish people. It is not one of the Feasts of Jehovah commanded to be kept in Leviticus 23, but the Scripture does however teach that the Jewish people should; "keep these two days… and these days should be remembered and kept throughout every generation," (Esther 9:27 – 28) So, year after year on the 14th and 15th of Adar (invariably corresponds with the month of March), (and in a leap year Adar II), the Jewish people commemorate their deliverance from destruction in Persia about 2400 years ago. In Synagogues the Megillah, the Book of Esther, is read. And, what an exciting story this book contains! When the Megillah is read in the Synagogues on this happy holiday, at times and in some places, Jewish children protest against Haman’s wickedness by shaking rattles and stamping feet whenever his name is mentioned. Purim is considered by many as the very best day in the Jewish calendar year. They even have a saying… "Not every day is Purim!" The Book of Esther is a complement to the books of Ezra and Nehemiah. Although those Books in the Bible describe life for the Jews who returned to Palestine, Esther is the only Bible book that offers a portrait of those who chose to remain in Persia. Esther’s story takes place near the end of these events described in the Old Testament. The two kingdoms of Israel and Judah had fallen and been taken into captivity in Assyria and Babylon, respectively. She prays to God for guidance and courage and encourages everyone to consider the precepts of God. On the other-hand… Martin Luther detested The Book of Esther and wished that it didn't exist at all, primarily because he thought it "Judaised" too much (Luther: Table Talk 24). Sadly, many Christian theologians tended to agree with Luther and some didn't understand its message... and still some attempted to excuse Esther's story as they could find no use for it in the church. For those who do understand that the church partakes of the 'Covenantal' blessings of Israel, however... the Book of Esther is a beautiful story of God's faithful love and care for his people! Throughout history and in various places, many have tried to destroy the Jewish people... BUT none have succeeded! We must NEVER loose sight of who God is addressing in the Bible and when He speaks of Israel or miss the point of the Book of Esther... and become the enemies of the God of Israel. In the Book of Esther, Haman represents the tragic character of those who refuse to acknowledge God's faithful love for the Jewish people as seen in His Promise to Israel in Jeremiah 31:35-37. Have you seen the sun, moon or stars today? If so, be assured that Israel remains a place in God's plan! And, if God kept His unfailing promise to Israel we as believers in Yeshua (Jesus) have that assurety that God WILL keep His promises to the Church! Hadassah, Esther’s Jewish name, comes from the word for 'myrtle', a tree whose leaves only release their fragrance when they are crushed. Esther's true heroism only appeared when she and her people were in terrible danger. The name 'Esther' means 'hidden'... Esther's real identity as a Jewess was hidden for many years. Esther was a symbol of Jews who lived successfully in an alien culture. As a woman, she was NOT in a position of power... just as; the exiled Jews were not members of the power elite. As an orphan, she was separated from her parents... and much the same way; as exiled Jews that were separated from their mother-country Israel. With both these handicaps, she had to use every skill and advantage she had just as the exiled Jews did. They, like Esther, had to adapt themselves to situations. The absolute power of the king seems strange to us, accustomed as we are today, to the democratic rule of law... But in Canaan and Egypt, a king was thought of as a living god. He was considered a sacred person who embodied, in his person, the state or kingdom that he governed. His physical body was clearly not immortal, but he was thought of as someone who was more than human, with a special and unique connection with the immortal gods. Because of this, he could do what he wanted even when it seemed clearly unjust. This concept of sacral kingship was rejected by Israel. From earliest times it saw God as its ruler. Its laws came from God, not from the state. When it did have kings like David or Solomon, it emphasized their humanity. It was Haman who really named the holiday, although he did not mean to do so... Eager to choose the best day to carry out his fiendish plans, and being superstitious, he drew lots, a kind of dice, called in Hebrew "Pur." The numbers on the "Purim (plural for lots) were 13 and 12, which he believed to mean the 13th day of the 12th month, Adar (Esther 3:7, 12). So, he commanded that his wicked order of Jewish extermination to be carried out on that day. He just didn't realize that to try and destroy the Jews is like a little fish trying to drink up all the water in the vast Pacific Ocean, or a tiny bug trying to kick over the Rock of Gibraltar. In an Encyclopedia published in Germany during Hitler’s time, it was declared, "In less than one hundred years the ‘Jewish problem’ will be solved. The race will simply have disappeared!" The writer of that prediction might have profited if he had made a trip to Cairo before using his would-be prophetic pen. There in the Cairo Museum he would have found food for thought by reading on a slab of granite of words, of Rameses II, written 3,000 years ago; "Israel is annihilated, Israel will have no posterity!" We are reminded here, Rameses II is gone, Haman with his posterity (meaning, future generations or all generations to come) is gone, Hitler with his henchmen are gone; but, Israel will NEVER cease to exist as a nation! It is a warning to all Arab nations too... Israel is one nation that God said shall NEVER perish from the face of the earth! If history repeats itself… we simply wonder, WHY, it is so difficult to learn lessons from the past? Just as our Jewish friends read the Book of Esther, lessons can be learned today from this example about their deliverance by the God of Abraham, Isaac and Jacob, from the murderous hands of Haman. This should give a clue to the US, Western powers and Arab leaders who really have no right to divide the land and decide Israel’s future. And, since the land belongs to Jehovah, they may discover what the real course of conduct should be concerning the Middle East crisis. It is especially suicidal for Arab and other nations who wish to wipe Israel from the map of the world! Esther, the Jewish queen of gentile Persia, set a remarkable example of personal sacrifice. Although understandably at first hesitant, she willingly risked her life so others could be saved. In this respect she prefigured the sacrifice of the coming Messiah, Yeshua (Jesus) of Nazareth, of who willingly gave His life so each of us could have the opportunity to receive God’s gift of salvation, eternal life in His Kingdom. The key to the story of DELIVERENCE in the days of Ahasuerus is found in the fourth chapter of the book of Esther... When Mordecai, Queen Esther’s cousin, learned that the decree had gone forth "to destroy, to kill, and annihilate all Jews, both young and old, little children and women" (Esther 3:13), he "tore his clothes, and… there was great wailing; and many lay in sackcloth and ashes" (Esther 4:1 – 2). Mordecai sent word to Queen Esther informing her "of all that had happened… and of the sum of money that Haman had promised to pay to the king’s treasuries for the Jews, to destroy them" (Esther 4:7). He charged her to "go before the king, to make supplication to him, and to make request before him for her people, the Jews" (Esther 4:8). Sometimes we just don't realize how carefully God orchestrates the very intrigued part of our lives... He grants us blessings and privileges, not just because we have earned them through our faithfulness, but because he knows we can be of service in His divine work. 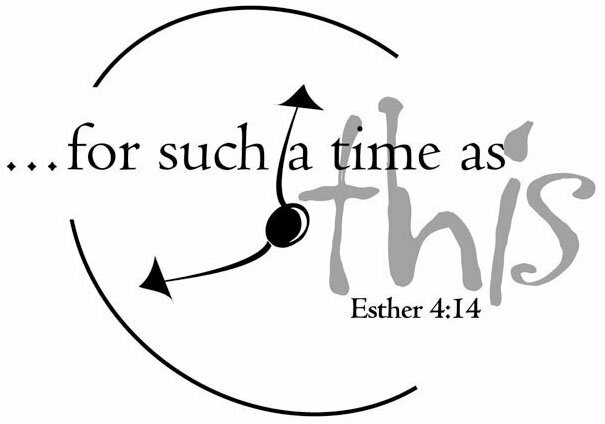 Like Esther, we are all called to help the Jewish people and have been carefully placed to be of service to Israel for "such a time as this." Then Esther said in reply to Mordecai; "Go, gather all the Jews to be found in Susa, and hold a fast on my behalf, and neither eat nor drink for three days, night or day. I and my maids will also fast as you do. 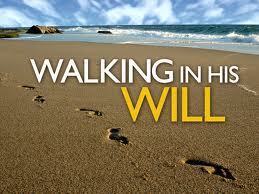 After that I will go to the King, though it is against the law; and if I perish, I perish." (Esther 4: 16 - 17) Mordecai then went away and did everything as Esther had ordered him. Why did she call a fast? Because a fast helps to lower the volume of our physical pursuits in order to focus more accurately on our spiritual selves. It is a forgone conclusion when the Jews in the days of Ahasuerus fasted three days and nights, that fasting was accompanied by repentance; affliction of the soul, and earnest heart - breaking to the God of Abraham, Isaac and Jacob, to bring deliverance. She needed her people to fast with her and bring the case before God. There are over 30 positive examples, commands, and instructions in Scripture about fasting. Here are some… Judges 20:26; Israel fasted for victory in war. 1 Samuel 1:6 – 7; Hannah fasted for a son. 1 Samuel 7:6; Israel fasted in repentance. 2 Samuel 12; David fasted for mercy upon his child. Ezra 8:21-23; Ezra and the people fasted for help and protection. Nehemiah 1:4; 9:1, 2; Nehemiah fasted in mourning and for help upon Jerusalem. Esther 4:16; Esther and friends fasted for victory. Psalm 35:13, 14; 69: 10, 11; Fasting in prayer and mourning, and, Isaiah 58:6 - 8; the fast which pleases God. Jeremiah 36:9; Israel fasted for mercy. 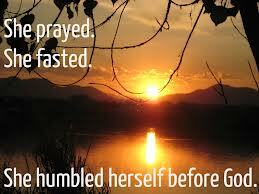 Joel 1:14; 2:12, 15; Yahweh - commanded fasting and repentance. Jonah 3:5; The Ninevites fasted in repentance for mercy. Daniel 9:3; Daniel fasted for wisdom. Matthew 4:2; Yeshua (Jesus) fasted when tempted in the wilderness. Matthew 6:17-18; Yeshua promised that the Father would bless fasting. Matthew 9: 14 – 15; Yeshua said His disciples would fast. Matthew 17:21; Mark 9:29; Fast is necessary for overcoming some demonic strongholds and powers. 2 Corinthians 6:5; Fasting was one way Paul approved himself as a minister. 2 Corinthians 11: 27; Paul fasted often. Certainly with God anything is BUT a coincidence! Right now He is looking for people who will be brave enough to stand in the gap and speak up on behalf of His covenant people, Israel. He knows each and everyone of us intimately; He knows our weaknesses, our strengths and what we have the potential to do. He is in perfect control of the Universe and sees all of us not as mere mortals but as eternal beings with great potential to accomplish the impossible, and like Esther we have the opportunity to either reject or accept that work. What if the Sceptre had not been held out to Esther? If the Sceptre had not been held out to Queen Esther, she would have perished! The Children of Israel had a bounty on their heads. The commandment was to wipe out every single one of them, keep none alive. This would end the "Christ line" (Genealogy) because the Babylonian empire covered the entire area that the Judeans had been scattered to. God was not going to sit by and let this attack and utterly wipe out His people and Mordecai knew this… But Esther shouldn't think that just because they work and live in the palace (and her Jewish identity still unknown) that they were going to be exempt from this decree. Her life was in peril regardless. Besides, this is it was probably the main reason why God had made a way for her to be there in the first place. God's plan WILL always come to pass! The first one is that God once again saved His people. It shows His never-ending love and care for His chosen ones. The second is the Feast of Purim. This story is how Purim was created. There is no other explanation of this feast. The third purpose is that the Jewish people were destined to go back to Israel. They were supposed to go back before Esther became Queen, but some stayed and those who stayed were to be killed (because of Haman). But God wanted His people back in their land so He saved them. And the fourth is Yeshua (Jesus), of course. If all the Jewish people were killed then the line of Jesus would have been destroyed too. So since God decided to preserve the people, He preserved Yeshua' ancestors too. That Sceptre was the prophesied and promised Messiah, who came 1,900 years ago and by the sacrifice of Himself provided redemption for Jews and Gentiles. All who believe in Him, and look to Him, can have an audience with God, who alone is able to deliver them from bloodthirsty Jew-Hating Haman’s of today and save them from their sins. Mordecai is a tribute to what the strength of every father and every honest God fearing man can be, when he stood before Haman and refused to bow to him, proclaimed there is but one true God, "the God of Abraham, Isaac and Jacob!" Mordecai stood up for this right and for his God, instead of pushing it to the wayside, as so much is done today in our society. However, there was no reason given for Mordecai’s refusal to bow to Haman. Not against normal Jewish practice to bow to a ruler or his representative (see Joseph and his brothers in Egypt, Genesis 43:26). But, Mordecai’s ancestor Saul had been an enemy of Haman’s ancestor Agag, king of the Amalekites (1 Samuel 15), and this may have been Mordecai’s reason. Amalek was a spirit of defiance and disobedience to the Almighty One… 1 Samuel 15:1 - 3 "…‘I will punish Amalek for what he did to Israel… now go and attack Amalek and utterly destroy all that they have and do not spare them but kill both man and woman, infant and nursing child, ox and sheep, camel and donkey." It is God who controls the future…! What is important here is that the bitterest enemy of Israel, the Amalekites. They were the first of the nations to seek to destroy the children of Israel in the Sinai wilderness at their greatest moment of weakness, were themselves destroyed except for King Agag (1 Samuel 15:9). If King Agag had been killed by King Saul in the land of the cliff dwellers, Haman the Agagite would never have lived and the story of Esther may not have been written. The actions of one king of Israel may have cost the annihilation of the entire Jewish race, except that it was not God’s will. The military forces of Saul returned back to the Land of Israel after crossing the Jordan River, Saul took King Agag to Shechem. Think carefully… The Lord of Hosts gave the king of Israel, Saul, a direct command to go into the land of Edom and destroy an entire tribe of people whose whole history since the exodus had been spent in seeking to destroy the children of Israel. But King Saul brought that enemy king, who was known by the title of Agag, back into the land of Israel to live… thus he disobeyed God’s Word to eliminate the Amalekites! Remember; it is the Lord of Hosts who knows the hearts of mankind and that the genetic evil was so permanently engrained in the ancestry of the Amalekites. He knows the end from the beginning and also knows the outcome of our actions; He made the command that appears heinous to our moral sensitivity… yet the reason He did so was to protect His chosen people in the future. How so? The Amalekites king in the Land of Israel became the ancestry of Haman the Agagite… and, future ‘Amalekites,’ who will genetically retain hatred toward the chosen people of God. Is it any wonder that one of the bitterest and implacable enemies of Israel today is terrorist organization called Hamas? Is it any wonder that one of the major stronghold of suicide bombers in the Land of Israel come from the city of Shechem (also known as Nablus today and part of "so called West Bank)? Is it any wonder that like the Amalekites of old, the modern day Hamas use woman and children as human shields when attacked? It is important to note the following: The implications of the act of obedience of this brave Jewess resulted in the preservation of the chosen people of God. Without Esther we would not have had King Artaxerses I, who gave freedom to the Jews to return to their own land. Without Esther’s brave obedience... we also would not have had the scribe Ezra who gave us the Old Testament, Nehemiah the governor, Zechariah and Haggai... the prophets... and Zerubabbel who built the temple of the Lord and the ancestor of Yeshua (Jesus), the future messiah of all mankind. All of these would have potentially been killed in Haman’s pogrom of genocide against the Jews in Persia. Without Esther... the Jews may have never returned to their land and the New Testament would never have been written. All the prophecies given to all of God's chosen ones... from Adam, Noah, Abraham, Moses, David... the Prophets of the (The Tanakh) Old Testament plus the Book of Revelation of the (Brit Hadassah) New testament WILL be fulfilled and compressed into the final events of this era before the Second Coming of the (Moshiach) Messiah Yeshua... Jesus. From every appearance, the Lord of Hosts... will revisit every mini-drama of redemption shown to the children of Israel and every prophecy ever uttered in the Holy Scriptures… and, at the 'Grand Finale' of the Drama of the Ages... Yeshua (Jesus) will once more proclaim… just as upon the crucifixion stake... "It is finished!" Mordecai was a clear believer in the sovereignty and providence of God, for he looked for God’s working over their lives and in their circumstances. Yet he was not a believer in fate... as if they could stand by and do nothing. Surely, God would preserve Israel one way or another, but Esther and Mordecai had a choice to make… Would they experience the blessing of God as He delivered the nation through their faithfulness, OR would they... especially Esther, fail to be strong in the moment which God had ordained for them? This was Esther’s chance to make a choice that would impact the history of an entire people and nation. This was her time and her chance, for God had ordered the circumstances of her life for such a time as this. What we must understand is that Esther is just like us. God is the same yesterday, today, and forever (Hebrews 13:8). Esther’s God is our God. Israel was His people, and now we, as believers in Christ, are grafted in as His people (Romans 11:17). How God worked in Esther’s life is how God desires to work in our lives. God has a specific plan for our lives that provides the opportunities for us to take advantage of the gifts, abilities, and opportunities that He has given us. He works in the details, ordering circumstances, and establishing our steps (Psalm 37:23). Our calling is to do as Esther did, yielding to the providential hand of God in her life. She didn’t ask for her beauty, nor did she earn it. She didn’t ask to be an orphan, nor did she have any control over the fact that she was adopted by Mordecai, evidently a God-fearing Jew. She had no influence over the fact that the king removed the former queen and desired her above all of the other virgins of the land, even though she was a Jew. These were events clearly ordained by God, and she simply cooperated with the Hand of God. God had a plan for Israel and she was it! God has good works prepared for each of us to do... He wants to use us. In fact, as 2 Chronicles 16:9 says; "For the eyes of the LORD move to and fro throughout the earth that He may strongly support those whose heart is completely His." The question is whether or not we are usable vessels? Esther was humble enough to listen to Mordecai, courageous enough to risk her life for the sake of her fellow Jews, and obedient enough to God to influence the king as she knew she could. She exercised her ability to choose to partner with the providential hand of God. We need to want to be used, and we need to be looking for God’s sovereign hand to see where and how we are to serve Him. Today Israel is back in the land at "a time such as this" and we want to be obedient to God’s plan for the Jewish people and His Land.